North Korea is reportedly planning to conduct military-themed events, one day before the start of the 2018 Winter Olympics in South Korea. The event may raise eyebrows as bilateral talks between the North and South progresses, and as South Korea prepares to welcome a North Korean delegation to participate in the Winter Olympics. 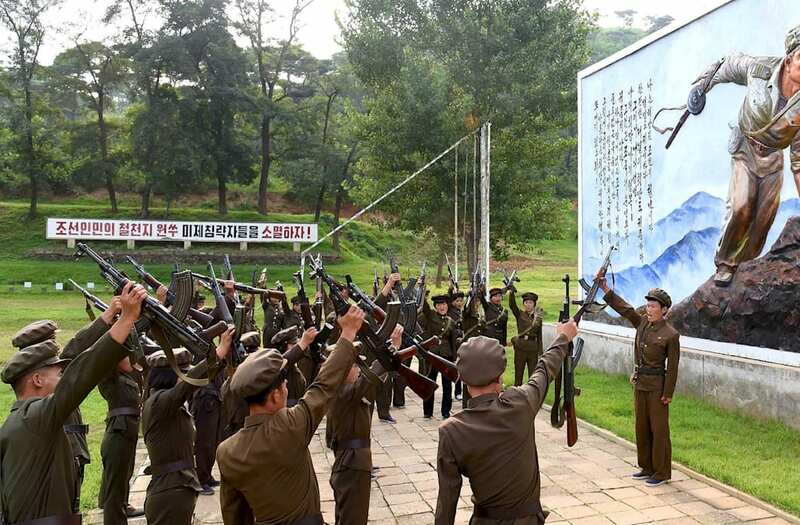 North Korea is reportedly planning to conduct military-themed events in observance of the Korean People's Army's 70th anniversary on February 8, one day before the start of the 2018 Winter Olympics in Pyeongchang, South Korea, according to an NK News report on Wednesday. According to an invitation sent to defense officials and their spouses, North Korea is planning to host "festival functions," which may include a military parade in the capital of Pyongyang, NK News reported. "It may not be called 'a parade,' but it is highly likely that there would be some kind of event taking place at Kim Il Sung Square," North Korea analyst Fyodor Tertitskiy said in the report, referring to the parade ground named after the country's founder. "I don’t think that the [North Koreans] even perceives this as a hostile action: they never canceled their regular parades before and were never requested to do so." Depending on its size and manner of display, the proposed event could spark renewed tensions with South Korea as it prepares to host the Winter Olympics, at a time when memories of the North's most-recent provocations are still fresh. South Korea has recently made concessions to the North, including delaying its annual joint-military exercise with the US — an event that North Korea vehemently opposes — until after the Winter Olympics. Although skeptics remain wary of the bilateral negotiations, dialogue between North and South Korea has progressed after a line of communication was opened in early January. The two nations are currently discussing the logistics of sending a team of North Korean delegates — including an orchestra, cheer leaders, and hockey players — to South Korea to participate in the Olympic Games.